After a long wait here it is; part 2 of my list. Back in May I published a list here on Wiiwarewave called My Top 10 Wii games Part 1. After a very long wait here is the second part to that list. Please note the list is called “My top 10 Wii games” basically meaning that games I personally enjoyed are on it. These games are MY PERSONAL top 10 Wii games. Why these games? : The Bit Trip series is just awesome. Every game is similar yet different in many ways. They are frustrating yet fun, difficult yet simple. I also loved the soundtrack the awesome 8-bit styled music that went with the beat was super clever. Very few games have the ability to do that. As the Tagline says “Sometimes a good game is just AWESOME!” The Developers at Gaijin Games are a very talented group of people and I can’t wait for Runner 2. 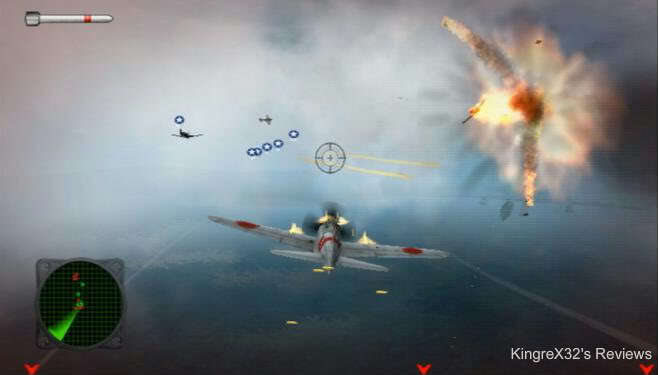 A few years ago Facebook I saw a trailer for a game called Pearl Harbour Trilogy, it was developed by a small company called Legendo. 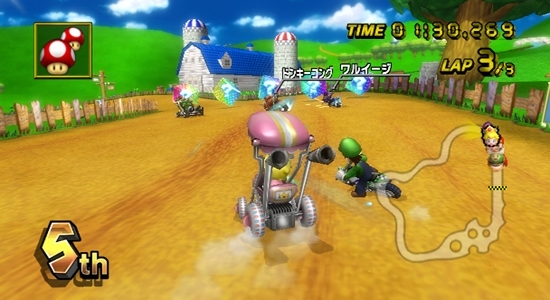 The game was a Wiiware title and from the trailer looked like a really good one. At the time it was one of the best looking Wiiware titles I had ever seen (next to Onslaught and Pop); despite my excitement I didn’t download the game till about a year after its release. The game was great; it looked great and played great and it had a decent length. A great buy in my opinion. Why not this game? : As great as Pearl Harbor Trilogy was I didn’t like the fact that there was no multiplayer, and the enemy AI was pretty dumb. But that’s not the reason it didn’t make it onto my list. Like a lot of my honourable mentions those games are good but just don’t feel good enough to be on my top ten list. 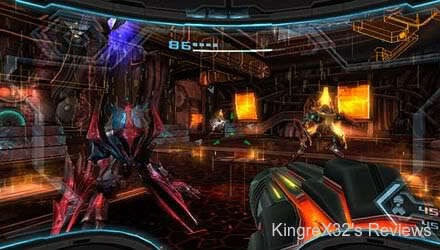 Metroid Prime Trilogy hit store shelves in 2009: the game is a compilation of all three Metroid games on one disc. After 5 months in stores Nintendo abruptly discontinued the title in North America now making it a hard game to find. If that’s not a reason why this game should be on this list then I can’t think of anything else. Why this game? : The Metroid games are right up there with the most iconic and greatest video games ever made. 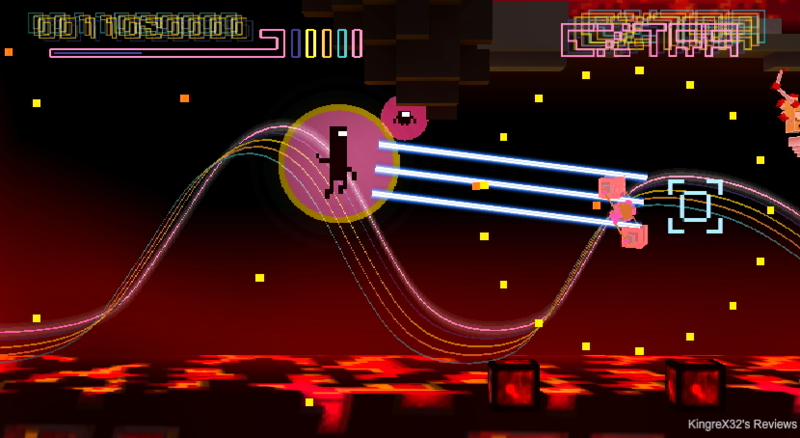 Each game on its own had gotten above standard scores and has won many awards. These games are also not for the faint of heart, featuring many challenging puzzles and difficult boss fights. Metroid Prime Trilogy was a great buy, well worth the seventy dollars I spent on it. Nintendo more of these please, more of these. More of these Special collectors compilations. When I fist saw the trailer for Metroid Other M at E3 2009 my jaw dropped. 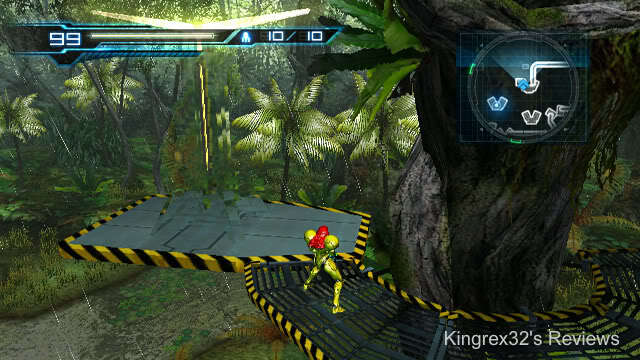 Nintendo had teamed up with Team Ninja to create an action packed and very cool looking Metroid game. Based on the trailer it looked like the game was going to be so much more action packed and faster paced than its predecessors. It looked different but new. I was very much liking the ability to switch from first person to the 2D side scrolling perspective on the fly. It was a cool element you really don’t see in much games. I also liked that gamers would get to learn a bit more about Samus’s background. Why not this game? : I liked Other M, I really did, but I liked the Prime Trilogy (that’s including Hunters) a lot more. Other M isn’t a bad game, infact in my review I gave it a great score, I liked that it was a throwback to the old school Metroid games and that it blended element from both the Classic Series and the Prime Series. But when you compare the two Metroid Prime Trilogy was the obvious choice, this game deserves a place on this list and that’s why it’s an Honourable Mention. Take that haters. Every Wii owner on the planet owns this game, for a lot of us chances are it was the first Wii game we ever played. Wii Sports was designed to show off what the Wii console was capable of, it featured 5 sports (Boxing, Bowling, Baseball, Tennis, and Golf) designed to be played with the New Wiimote so that players would be comfortable with the radically new controller. Like Super Mario Bros and Duck Hunt before it, it was a pack in game with the Nintendo Wii console. Why this game? : Wii Sports was a lot of fun. Looking at the game it looks simple and childish, but if you have friends over and pop in this game you will have hours of fun. I personally preferred the Boxing. I also liked that the game had a very simple fitness program that would track your fitness age based on how you perform in three randomly selected sports. 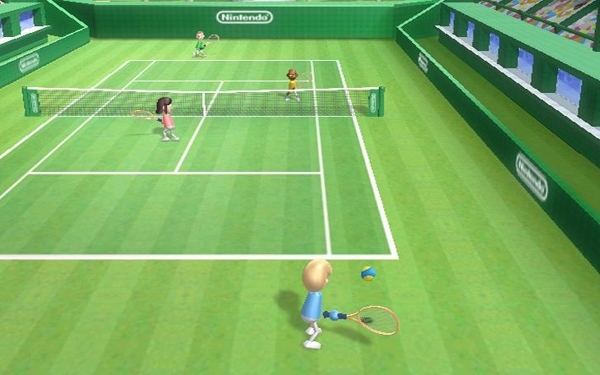 There is also a training mode for gamers to hone their Wii sports skills. A few months ago I found out that some company called Target has decided to purchase a retail chain here in Canada called Zellers. Because of this the company (Zellers) had a massive sale of all their inventory items were on sale from 30% to 80% off. It was at this time that I decided to finally get a Wii Zapper. Before this sale a Zapper would have set me back 25 dollars, I got mine for 15. Because I got the game for free, and because outside Four Swords, A Link to the Past, Ocarina of Time, I have never finished A Zelda game I decided to give this game a try. 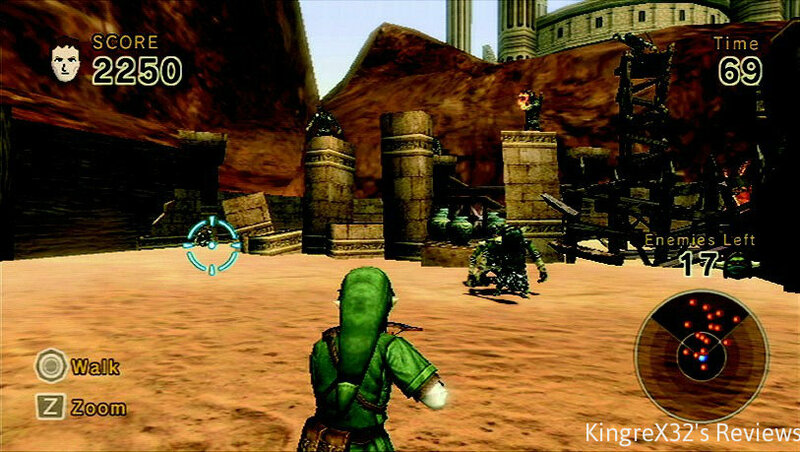 Like Wii Sports; Links Crossbow Training was designed to get gamers used to the Wii Zapper. Why not this game? : Links Crossbow Training is a very fun game, and it’s a lot faster paced than the other Zelda games I played. Unfortunately this game gets boring fast, it’s very repetitive and outside beating your high scores over and over again it’s not very fun. Even when playing multiplayer with friends. Yes I know this is a pack in game, but for some reason after playing it I kind of wanted more. Perhaps it’s just me. I don’t remember when I first heard of Brawl; all I know is when I saw the trailer that first time I wanted it. I wasn’t able to get the game at launch; instead I got my copy about 5 months after its release. Before Brawl I had only played the original game on a friends N64. Why this Game? : Like most of the games on this list Brawl is on here because I found it very fun to play. But it’s not just because of that, the game featured tons and tons of unlockable content, like Music, Character bios, Trophies, and game data. 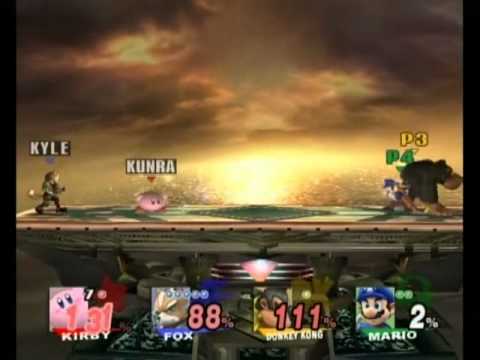 If your wii is connected to the internet friends could send each other game replays, screenshots and custom created stages through the smash service. The Game also had mini virtual console service in it for playing demos of old Nintendo games. Greatly replayable and super fun, Brawl is a great buy. When it comes to Kart racing games outside Crash bandicoot racing and the Mario kart Series I’m not a fan. Part of the reson is because I prefer racing games where I am driving actual cars. Nonetheless I grew up with the Mario Kart series so I don’t really have any problems with it. The First one I played was Mario Kart Super Circuit on the gameboy, followed by Mario Kart 64, then Double Dash, Then Wii. Like Brawl I didn’t get this game at launch, I actually bought it about a year and a half later when it was on sale in Zellers. Why not this game? : The same reasons why I didn’t like Links Crossbow Training are the same reasons I did not like Mario Kart Wii. While the game does last longer after a while is a bore to play; even after you unlock all the tracks and characters. Even playing with friends gets boring too. Yes there is online and weekly events from Nintendo, like ghost races and tournaments but it just wasn’t that appealing. Mario Kart Wii is a fun game but gets boring fast, that’s why its an honourable mention. Personally I’m not a fan of RPG games, outside pokemon and a few other games I usually don’t play RPGs. When I saw that first trailer for Monster Hunter Tri a few years ago I instantly wanted the game. It looks like a fun and fast paced game. What I didn’t know at the time though was that Monster Hunter Tri was an RPG, outside Tri I’ve never actually played any of the games in the series. So I kind of ran head first into this game without knowing what to expect. Why this game? : Im not going to lie, when I first got the game and popped it in for the first time I was overwhelmed. There was a ton of stuff to learn like techniques, monster strategies, weapons and armour upgrades, the maps, and lots and lots of other stuff. I bought the game played it for an hour and never touched it for about a month. When I decided to play again I realized that there was a bit of a learning curve to it, but once you learn how to play it starts to become so much fun. 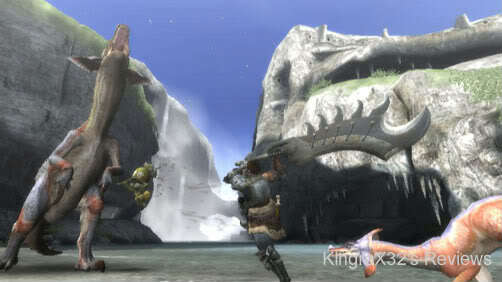 Monster Hunter Tri is a great looking, great length, and super fun game. When you connect to the internet and play online it’s ten times better. Capcom did an amazing job on this title. Originally I wasn’t interested in Epic Mickey when it first came out. Its not that I thought it was going to be a bad game or anything, I just wasn’t interested. The game looked cool enough, but I wasn’t going to go out of my way to buy it. Then A few months ago while browsing the aisles of my local Gamestop I saw a copy for 12 dollars on the shelf; because there was no other good games there that I didn’t already have I picked it up. Why not this game? 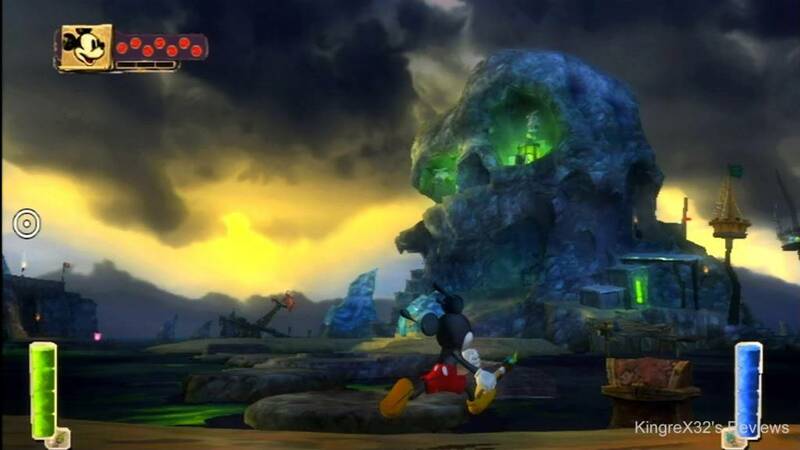 : So I bought Epic Mickey, and it turns out that it was a very good game. It was a little slow and abit dark at times but fun enough that I gave it a good score in my review. So why is it an Honourable Mention? Well as good as Epic Mickey was I didn’t enjoy it as much as I did other games. But I t would seem almost unfair not to include it because like Ive said multiple times already, it’s a good game. Don’t forget to Check Out my Website KingreX32’s Reviews for my written reviews on the games mentioned. These reviews can also be found here on Wiiwarewave. Hope you enjoyed the list and don’t forget to checkout Part one here. No Super Mario Galaxy one or two, no Xenoblade Chronicles and no TLoZ: Skyward Sword!? Meh... Different strokes for different folks, I guess. But I wouldn't have even acknowledged Other M let alone classify it as a honorable mention. In my eyes, Other M was an insult to the entire Metroid franchise. Although, it seems that every franchise usually has at least one black sheep in the series. I never played mario galaxy enough to form any kind. Of opinion for that game.. i just included games i played. Same goes for xenoblade. Very nice read. I agree with you on the points about Mario Kart Wii its a fun game but after you get everything its boring. I haven't touched my copy in about six months. One thing though in the sentence that says "Links Crossbow Training was designed to get gamers used to the Wii Zapper." Shouldn't it be use instead of used? Or EVEN better KingreX32, you could USE, "familiar," or, "accustomed". sorry bout that guys. Ive been terribly busy. Whenever I get a chance im going to edit this one. I know it needs alot of work. Again, nice list. Nice to see a list that reflects one's personal tastes and not the stereotypical 'best of' based on reviews. I agree with Metroid: Other M's inclusion. I actually prefer it to Prime (which I find slow and dull) but I understand why a lot of people don't like it.